Irish women have been part of the story of the Congregation since its beginnings. The Congregation of the Sisters of Saint Joseph of the Sacred Heart was founded in 1866 and by 1871 there were 78 Irish sisters in the group of 137 Josephites. Some of these Irish women immigrated to Australia with their families and others travelled alone. Mary MacKillop’s visit to Rome to seek approval for her fledgling Congregation was the occasion for her to visit Ireland in 1874. During her three months in Ireland she visited a number of Religious congregations, explored the Irish National school system and talked wherever she could, and particularly in schools, about the needs in Australia. In October 1874 Mary left Dublin to return to Australia with 15 young Irish women who were to join her in her mission in Australia. Thus a strong link with Ireland was forged and continued to grow. 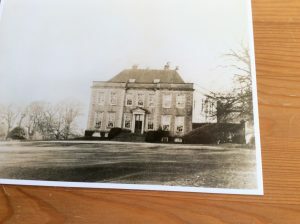 In 1927, a house in Newmarket, Co Cork was purchased and Sisters arrived from Australia to establish a boarding school for girls who wished to join the Congregation and spend their lives in Australia. The school at Newmarket became a source of Irish vocations for the next fifty years. Over the history of the Josephite Congregation the vision of Mother Mary MacKillop inspired many Irish girls. Some as young as fourteen left their homes, never to see family or country again. All of them positively influenced the development of peoples in Australia, New Zealand and in later years Peru. The legacy of Mary MacKillop lives on in them and whether they are now in Ireland, Australia or New Zealand their love of Saint Mary MacKillop is infectious. 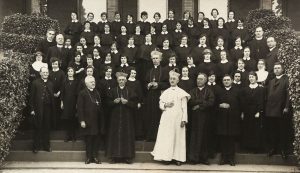 Since 1866 over 840 Irish young women have left Ireland and joined the Sisters of Saint Joseph. The story of Saint Mary MacKillop and the Irish connection begun in 1866 continues to the present time. The book The Letter Under The Pillow written by Clare Ahern rsj and published in 2016 recounts the story in full.